An aircraft engine is one of the most complex engineering systems that have been developed. To properly investigate and evaluate the failure of an aircraft engine requires a strong working knowledge of proper aircraft maintenance practices, mechanical engineering, and metallurgical and material sciences. 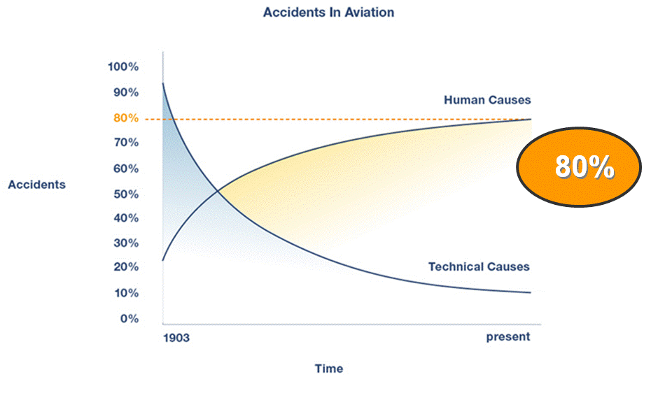 Failures of aircraft engines can be caused by a variety and combination of reasons. As seen below, statistically the failure starts with a human error. The challenge to the investigator is to be able to understand and interpret the remains of the physical evidence, and correlate that to the earliest link in the error chain. DVI’s Aircraft Engine Experts are unique in that they are all active practitioners of aviation maintenance and are seasoned failure analysts. Our Aircraft Engine Experts have evaluated all types of certificated and experimental piston engines including Lycoming, Continental, Franklin, Jabiru, Ranger, Pratt & Whitney, Jacobs, Delta Hawk, Subaru, and Rotax. A 250 hp aircraft engine suffered an in flight failure during a training flight due to the over speed of the propeller. During the inspection of the engine, four teeth (two of them next to each other and the others at different parts) from the propeller governor idler and 14 out of 34 teeth from the camshaft gear were found to be broken. 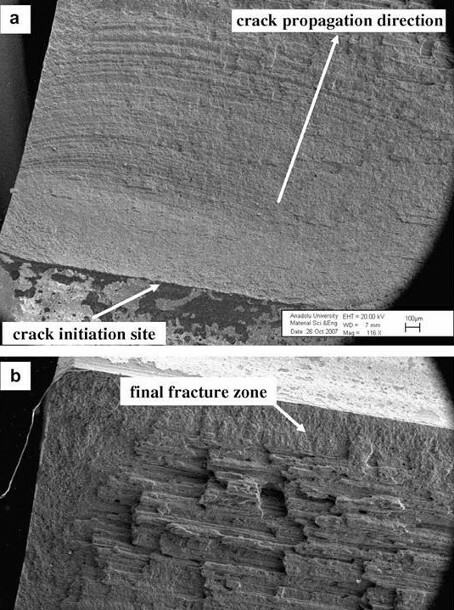 The fracture surfaces of the governor idler gear teeth were examined by using a Scanning Electron Microscope, and that revealed the crack initiation, crack propagation and final fracture zone on the fracture surface of gear teeth. The presence of microscopic fatigue striations at higher magnifications showed the progress of fatigue cracks were consistent with the mechanical fatigue failure of idler gear teeth which were subjected to severe fatigue loading. 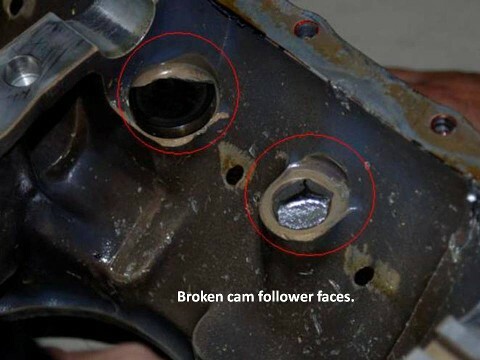 Also during the inspection of the engine, the head of two cam followers had broken away from its shaft and three cam followers were found to be broken into pieces. The cam lobes were also damaged. 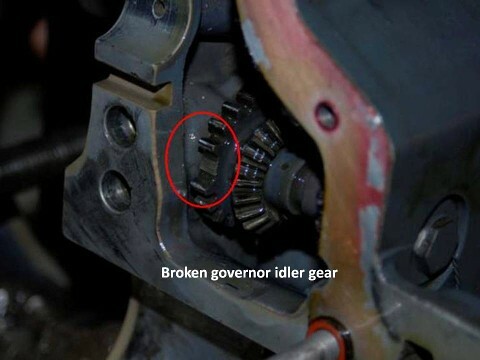 The cam followers failure and damages on the cam lobes were caused by the broken governor idler gear teeth getting into the cam follower and the cam lobes area. 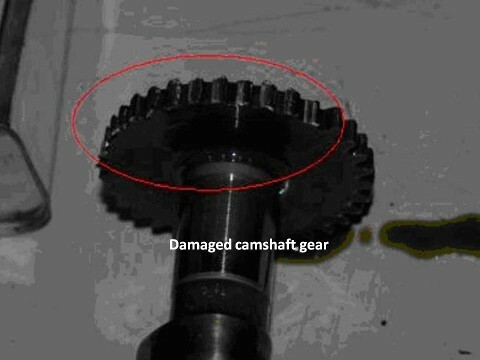 Ultimately, this damage on the cam followers and cam lobes resulted in the loss of power in the engine. DVI’s Aircraft Maintenance Expert investigated an aircraft crash that involved a Magneto that came loose in-flight. DVI’s Aircraft Maintenance Expert examined the Magneto, the attachment hardware, the gasket, and the accessory case’s stud threads. DVI’s Aircraft Maintenance Expert compared the subject parts to exemplar parts and parts approved by the manufacture and FAA. DVI’s Metallurgical Experts and Aircraft Engine Experts examined an engine that lost power on a go-around. The subject engine was disassembled and mechanical discrepancies were found, including a sticking valve. DVI’s Metallurgical Experts and Aircraft Engine Experts examined an engine that failed to develop full power. DVI’s Aircraft Engine Expert found grounded electrodes on spark plugs and other spark plugs worn beyond service limits. DVI’s Metallurgical Experts and Aircraft Engine Experts examined an engine that failed when a cylinder separated in flight. Un-approved sealants were used underneath the cylinder base flange.